Water plays a very important role in our body, drinking enough water can help us lose weight, look younger with healthier skin, less likely to get sick, helps in digestion and constipation, relieves fatigue, have a good mood, reduce the risk of cancer and more. While it is not to say that the more water your drink, the healthier you will be, too much water will also hurt your health, especially for those who suffer from heart disease, hypertension, nephrosis, edema and so on, drinking a healthy amount of water and drink water in right time is vital to your health. To majority of us, we only know that we drink ‘a lot of’ water or ‘a little’ water, we don’t know exactly how much water we drink, is that quantity suitable for us? 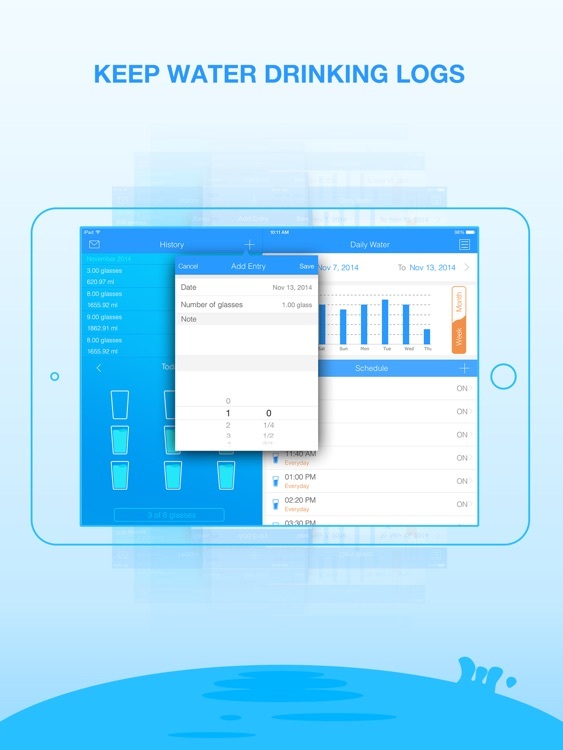 Daily water is the app that helps us to remind us to drink water in right time and t rack the quantity of water we drink. 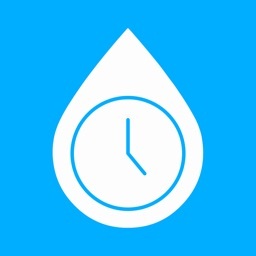 ⁃ Create one water drinking reminder then it will remind you when it’s time. 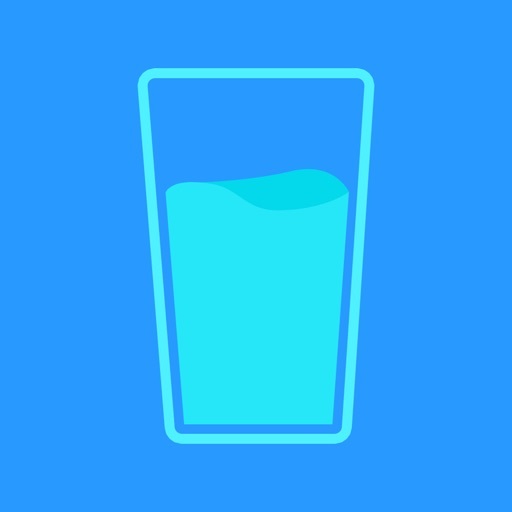 ⁃ Choose water reminder sounds. 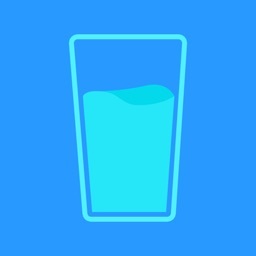 ⁃ Log amount of daily drinking water. ⁃ Touch to log each drinking. ⁃ Check number of glasses of water you have actually drunk. 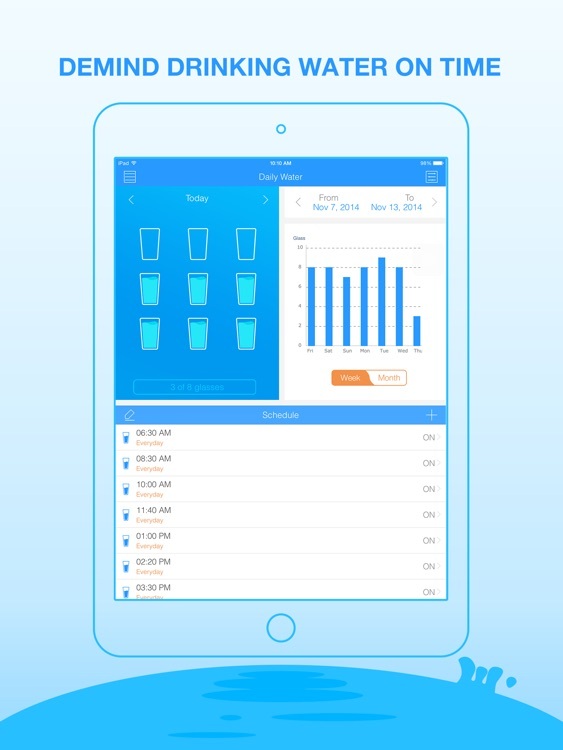 ⁃ Set goal amount of daily drinking water and track it. 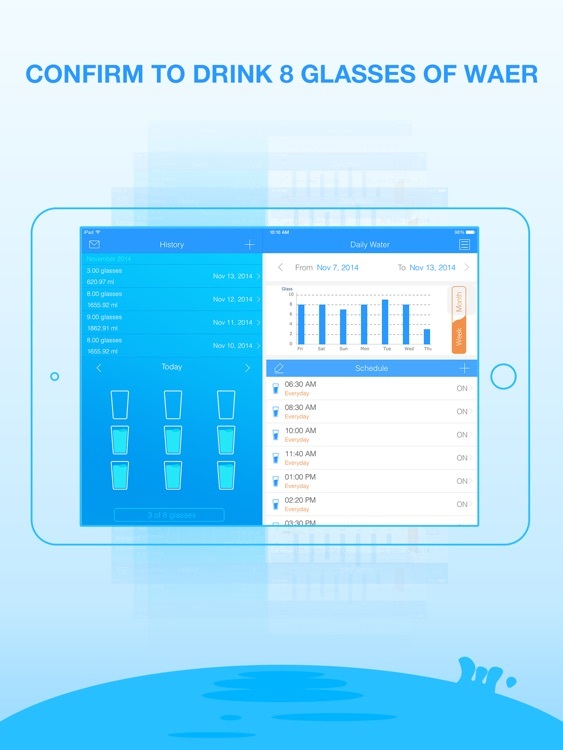 ⁃ Customize volume of each glass of water. 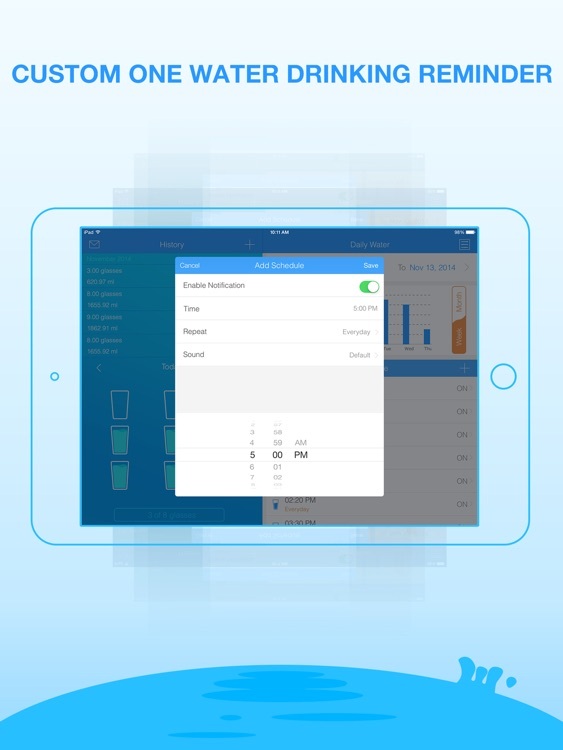 ⁃ Customize how much of water you drink each time, 1/4 glass, 1/2 glass or A glass. ⁃ Histogram to show the amount of your one day’s, recent one week’s and one month’s amount of drinking water. ⁃ Show amount of glasses of water you have drunk one day on the icon. 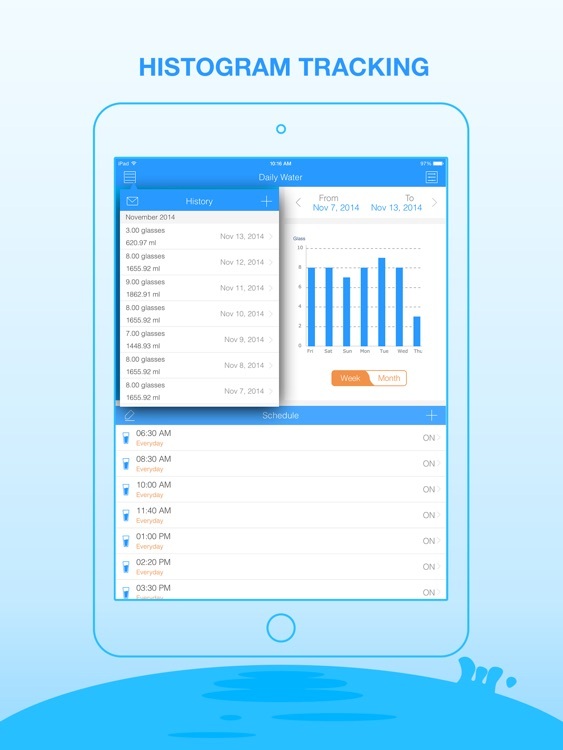 ⁃ Email the data of time, date, amount of water to anyone you would like. ⁃ Support oz and ml.